A French soldier looking on a drunkard with disapproval. 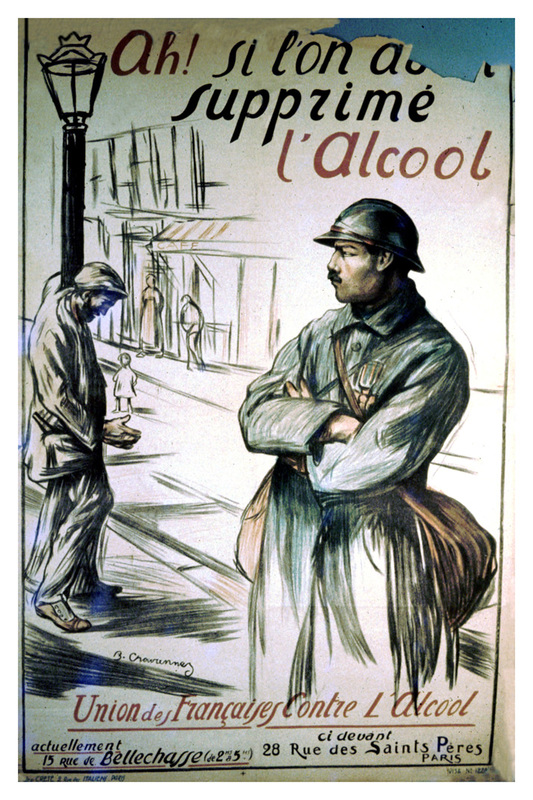 Poster Text: AH SI L'ON AVAIT / SUPPRIME L'ALCOOL / UNION DES FRANCAISES CONTRE L'ALCOOL [Ah! If one could suppress alcohol--Union of Frenchmen against alcohol].